PPFD Testimonials | PPFD Ltd.
"This is a long overdue letter of thanks to you and your team at Promotional Products Fulfillment & Distribution for the excellent job you are doing in managing the Tetley account. We find your staff to be very prompt, friendly, and courteous in handling the numerous challenges Tetley throws your way every day. The real proof however, is our thousands of satisfied consumers, of which a surprising number have sent letters thanking us for our excellent service. We appreciate all your fine efforts and keep up the good work". "The Promotional Products Fulfillment & Distribution team does a great job with all our last minute, crazy and sometimes out of this world requests. We all really appreciate the hard work you put into our business". "I wanted to extend a personal thank you for all the work Promotional Products Fulfillment & Distribution has done over the past year in bringing Bank of Montreal's vision of OneSource into reality. It was a huge undertaking, which at times seemed overwhelming but through hard work and diligence your team made it happen". "Many changes have taken place since we started working with Promotional Products Fulfillment & Distribution in 1996, and I appreciate the interest that your staff has shown in meeting our needs. Promotional Products Fulfillment & Distribution has impressed me with your knowledge of the business, your desire to understand our needs and your "can do" attitude. Any issues that have arisen have been resolved quickly and effectively". 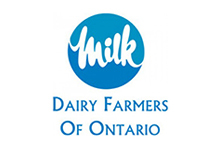 Joanne Morrison, Dairy Farmers of Ontario. "We have been using PPFD’s storage and order processing facility for over two years now and have found the staff to be most helpful. As our third party logistics company we have found them to be attentive to our requests, responding in a timely and professional manner. We would recommend their service to anyone looking for a flexible team and great service." Louanne Menser, Unicity Canada, Ltd..